Cleveland Orchestra At 100: The Heartland Band With The World Class Sound : Deceptive Cadence Who knew that a little orchestra in America's Midwest, born in 1918, could grow up to be one of the world's best? Through a century of trials and triumphs, the Cleveland Orchestra still shines. The Cleveland Orchestra, with its music director Franz Welser-Möst, at Severance Hall, the orchestra's home since 1931. That America's best symphony orchestras hail from its big cultural capitals – New York, Los Angeles, Chicago, San Francisco — is an easy assumption to make. But it isn't quite true. There's one orchestra, from the U.S. heartland, that critics say just might be our nation's finest. Cleveland, in 1918, was the fifth largest city in America and home to such industrialists as John D. Rockefeller and John L. Severance, who had deep pockets and a desire to bring culture to Cleveland, says Donald Rosenberg, author of The Cleveland Orchestra Story: Second to None and former music critic for the Cleveland Plain Dealer. 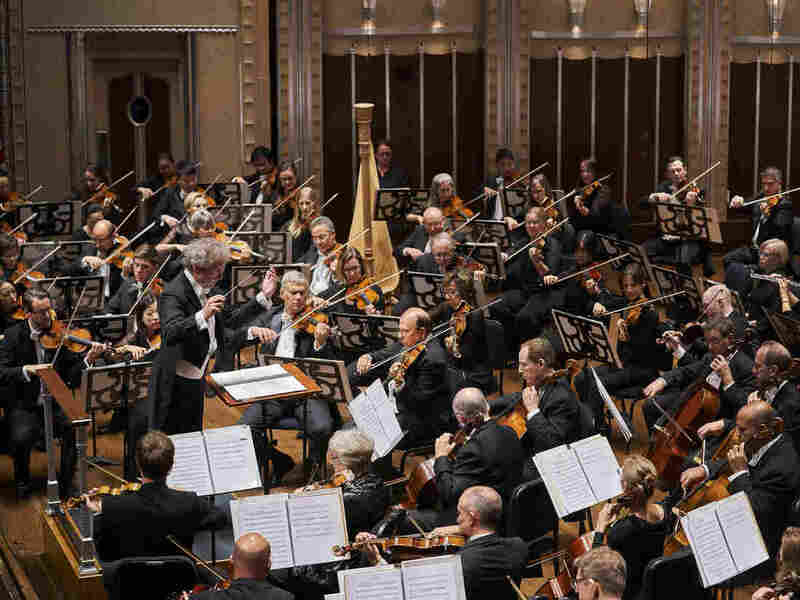 "Because the Cleveland Orchestra was born in a city outside one of the major artistic centers, its accomplishment needs to be taken seriously," Rosenberg says. 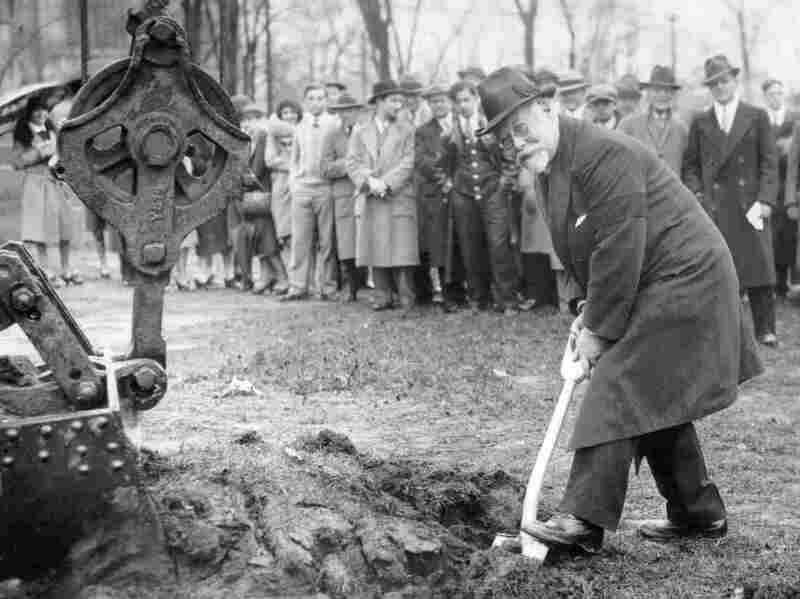 John L. Severance breaks ground in 1929 for the Cleveland Orchestra concert hall that would bear his name. Severance Hall was completed in 1931. Within a few decades, Rosenberg says, the ensemble began to blossom — especially under its next music director, the idiosyncratic Polish conductor Artur Rodziński. He led the orchestra for 10 years beginning in 1933, and with his oversized, swashbuckling personality, saw Cleveland as the next Salzburg or Rome. "He carried a pistol in his pocket virtually the entire time he worked in Cleveland and elsewhere," Rosenberg says. That pistol was meant to be used on his lover's husband, back in Poland — but Rodzinsky got interrupted with a last-minute conducting assignment. The performance was a triumph, and the revolver became his good luck charm as Rodzinsky planted the seeds of the Cleveland sound. "If you listen to the recordings that he made toward the end of his tenure," Rosenberg says, "you can already hear some of the qualities that we associate with the Cleveland Orchestra — this precision, this clarity, this transparency of texture." During World War II, the Cleveland Orchestra lost musicians to the draft, including its next music director, Erich Leinsdorf. He took over in 1943, conducted his opening night concert on Oct. 7 and was off to the army three months later. By 1946, the orchestra needed rebuilding. The man who took up the challenge, Rosenberg says, was George Szell: an autocratic Hungarian who put the fear of god in his players, and at the same time raised the quality and profile of the orchestra to unprecedented levels. "During the time that Szell was music director, evidently the psychiatrists in Cleveland did booming business, because a lot of musicians needed help coping with his personality," Rosenberg says. Joela Jones was hired by Szell in 1968 as the orchestra's keyboardist. She still remembers her very first rehearsal with him. "Szell wore thick-lensed glasses and his eyes seemed to pierce right through you like laser beams — so at first, I was terrified," she recalls. "I learned quickly that if you were well-prepared and worked hard he was very kind to you. But if you sloughed off and he sensed for a minute that you were just trying to slide by him, he became very angry." Franz Welser-Möst, who grew up in Linz, Austria, has been the Cleveland Orchestra's music director for the past 16 years. One of the very first recordings he was given as a child was a Cleveland Orchestra performance of Tchaikovsky's Fifth Symphony conducted by Szell. The Szell years, he says, were very different times. "It was a reign of terror, basically," Welser-Möst says with a chuckle. "He decided on everything, even into the personal lives of the musicians." Reportedly, Szell even chose the toilet paper for Severance Hall, the orchestra's home since 1931. "He micromanaged everybody's playing," Welser-Möst adds. "He was all about precision and balance, and he got the orchestra to play in a way which was, for those days, really extraordinary." Szell might have been a ruthless perfectionist, but he crafted a sound admired the world over. He presided over successful tours of Europe and the Soviet Union — and also withstood a musicians' strike in 1967. The Cleveland sound attracted some of the world's top talent, including one of the most respected composer-conductors of 20th century music, Pierre Boulez, who became the Cleveland Orchestra's principal guest conductor in 1969. "He had this incredible ear," Jones says. "No one that I know of had an ear like Boulez had." The Frenchman also became Cleveland's musical adviser in 1970, expanding the orchestra's repertoire to include most of the major works by Stravinsky, Bartók and Debussy, and those of living composers. Jones says that Lorin Maazel, who became the orchestra's music director in 1972, brightened the Cleveland Orchestra sound, followed by Christoph von Dohnanyi, who added some warmth and elegance. By 1994, Time magazine hailed Cleveland as the "best band in the land." Earlier this year, The New York Times said Cleveland has "a plausible claim to being the best in America." In October, however, things took a dark turn. The orchestra's longtime concertmaster and its principal trombonist were fired after an independent investigation determined they engaged in sexual misconduct. The incidents alleged so far didn't occur at the Cleveland Orchestra, but at other institutions where the two musicians were teaching. Jones, who has played in the orchestra for 50 years, says that for her part, she's never felt the atmosphere of an old boys club. "When I was first in the orchestra there were a dozen to 15 women," she says, adding that the men she befriended in the orchestra treated her more like a daughter. "I never, ever was approached or felt sexually harassed in any way whatsoever. And I'm sorry if that's disappointing to news media, because news likes to have exciting subjects to talk about." Rosenberg believes the Cleveland Orchestra will survive the scandal — and that the city, which is fiercely loyal to its musicians, will stand behind the ensemble. "This orchestra was nurtured by a community that really wanted to hear symphonic music on the highest level, Rosenberg says. "It took several generations for that to be accomplished. But once it was accomplished it's never turned back."